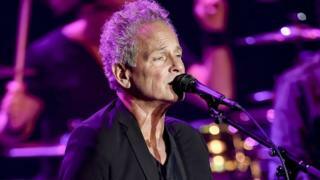 Former Fleetwood Mac guitarist Lindsey Buckingham is recovering after emergency open heart surgery but his vocal cords were damaged as a result, his wife has announced. Kristen Buckingham, who is based in Los Angeles, said her husband had been taken to hospital late last week. He is recovering at home and getting “stronger” every day, she said, posting a photo of him in his hospital bed. Buckingham, 69, was fired from the British-American band last year. He then launched a legal case before settling out of court. “This past year has been a very stressful and difficult year for our family to say the least,” Mrs Buckingham said in her social media post. She also revealed Buckingham’s family had had a history of heart-related health issues and urged greater reporting from people experiencing symptoms. Buckingham joined Fleetwood Mac in 1975 with his then-girlfriend, Stevie Nicks. After leaving in 1987, he returned a decade later. He has writing credits on some of the band’s best known songs, including Go Your Own Way. Last year, Buckingham’s lawyer said his band mates had “cut him off entirely” after a disagreement reportedly emerged between them regarding a tour. In a lawsuit filed in California, he said he had lost up to $14m (£10.5m) as a result of his firing. In December he announced the two sides had come to a settlement out of court.